Renee and I fished for a few days last week. We used small silver spinners or powerbait. We caught many of those small cutthroat trout planted by the CDFW. I caught so many I went to a barbless hook set up. I talked with few anglers that had good luck using salmon eggs and a small split shot. 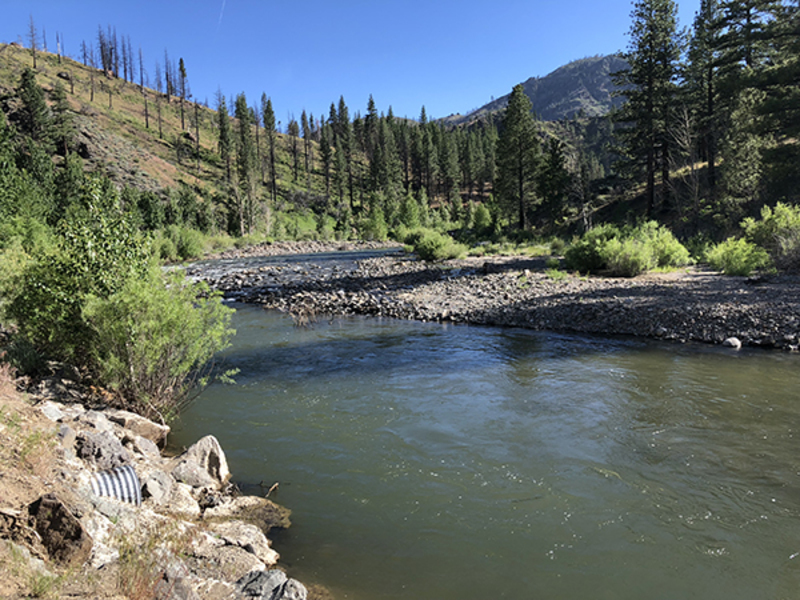 The river was planted on August 10th by the Alpine chamber of Commerce and the South Tahoe PUD. Those fish were 12 inches to 6 pounds. I had beeter luck in the faster moving areas then the deep pools. For more info stop by Creek side Lodge.